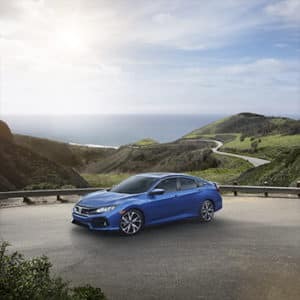 If you’re looking for a comprehensive review of the 2019 Honda Civic vs. Hyundai Elantra, you’ve come to the right place! While both cars have their advantages, only one is uniquely suited to fit your needs and lifestyle. The question is, which one? That’s where we come in. Our team at Norm Reeves Honda Superstore Cerritos took both cars for a test drive through Cerritos, Buena Park, and Long Beach so that we could report back to you on the Elantra vs. Civic debate. Want to know how both new cars stacked up? Read on for our comprehensive review! The 2019 Honda Civic comes with a burst of power that makes it a lot of fun for drivers. It has a 2.0-liter 4-cylinder engine that offers up 158 horsepower and 138 lb-ft of torque. In comparison, the Hyundai Elantra has a 2.0-liter 4-cylinder engine that doesn’t quite match up to the Honda Civic. It gives drivers 147 horsepower and 132 lb-ft of torque. Both vehicles come with a six-speed automatic transmission as standard, although the Honda Civic has an available CVT transmission that the Hyundai Elantra does not offer. For drivers who are looking for great safety features, the 2019 Honda Civic has a host of great options! 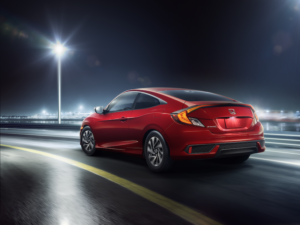 It comes with Honda Sensing®, a suite of intelligent safety features formulated to keep you secure on the road no matter what the driving conditions may be. Honda Sensing® provides drivers with the Collision Mitigation Braking System™. This allows your vehicle to warn you in case of a detected front-end collision, so you can take action. It gives you the added control you need to handle any instances of a potential front collision, and can let you know when there’s a hazardous situation, so you can choose how to handle it best. The Collision Mitigation Braking System™ even helps apply the brakes so you can stop quickly and keep yourself—and your passengers—safe and sound. This lets you stop on a dime if the vehicle in front of you abruptly halts, so you can take action and avoid a potential collision. The Hyundai Elantra does not offer a safety suite like Honda Sensing®. And while it does offer some of the same features (including Blind Spot Collision Warning and Forward Collision Avoidance Assist), those only come standard on later trims, and are not available for the basic model. Staying connected is easy thanks to the great features offered by the 2019 Honda Civic. Your Honda can integrate seamlessly with most major smartphones, allowing you to keep in touch even when you’re on the road. Sync up with Apple CarPlay™ or Android Auto™ to have your favorite music and podcasts at your fingertips, so you always have the perfect background noise for your trips. You can access your text messages, make phone calls, get directions, and even use selected apps for an immersive driving experience. The 2019 Hyundai Elantra, on the other hand, does not offer Android Auto™ or Apple CarPlay™ until later trims. It becomes a standard feature with the SEL trim. Now that you know all the facts and figures when it comes to the Honda Civic vs. Hyundai Elantra, it’s time to see the difference for yourself! 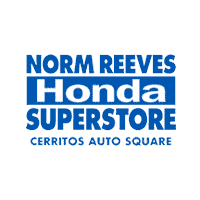 Stop by Norm Reeves Honda Superstore Cerritos today to schedule a test drive. Our friendly and competent staff will work hard to answer your questions and help you find the right vehicle for your lifestyle and needs. We’ve helped drivers from Cerritos, Buena Park, and Long Beach, and we can’t wait to help you too!